To activate MarketConnect, begin by navigating to Setup > MarketConnect. If you don't see this menu option, check to ensure your admin role group has the appropriate permission and that your admin template is fully up-to-date. Click the Login/Create Account button located within the Your Account panel at the top right of the page. 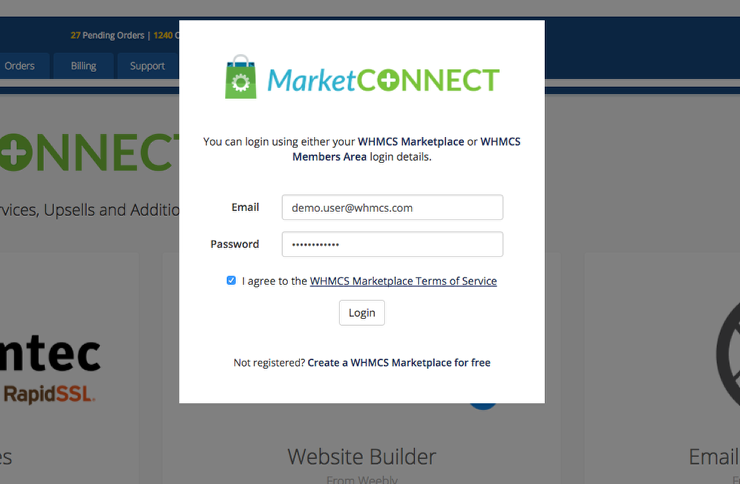 Enter your WHMCS Marketplace account credentials when requested and tick to confirm you agree to the WHMCS Marketplace Terms of Service. 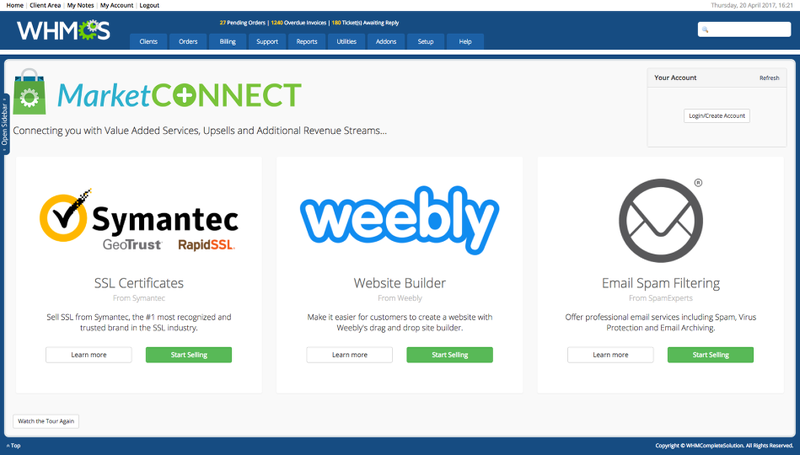 If you do not have an account, following the Create a free WHMCS Marketplace account link. Upon successfully logging in or registering for an account, you will be returned to the MarketConnect home screen and the Your Account panel will update to show your account information and current balance. Now you can browse through the services available via MarketConnect, if you have any questions please get in touch with the MarketPlace support team here.